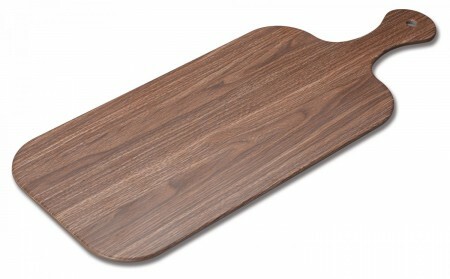 Winco WDM002-401 Ardesia Semone Melamine Rectangular Platter, Wood 20-7/8" x 8"
TigerChef > Tabletop > Tabletop Serveware >< Bread Boards > Winco WDM002-401 Ardesia Semone Melamine Rectangular Platter, Wood 20-7/8" x 8"
✔ Faux wood grain look✔ Color: brown✔ Break-resistant, highly durable✔ Dimensions: 20 7/8" x 8"
$137.63 Winco WDM002-402 Ardesia Semone Melamine Round Platter, Wood 11-7/8"
$14.99 San Jamar TC7501 Tuff-Cut Wood Bread Board with Handle 7" x 9"
$10.79 Winco SBMW-117 Marble and Wood Serving Board 11-1/4" x 7"
$12.29 Winco SBMW-157 Marble and Wood Serving Board 15" x 7"
$15.99 Cal-Mil 1535-12-13 Black Trapezoid Flat Bread Serving / Display Board with Handle 12" x 8" x 1/4"
$18.99 Cal-Mil 1535-16-13 Black Trapezoid Flat Bread Serving / Display Board with Handle 16" x 8" x 1/4"
$17.99 Cal-Mil 1535-16-14 Natural Trapezoid Flat Bread Serving / Display Board with Handle 16" x 8" x 1/4"
$25.99 Cal-Mil 1535-24-13 Black Trapezoid Flat Bread Serving / Display Board with Handle 24" x 8" x 1/4"
$22.16 Cal-Mil 1535-24-14 Natural Trapezoid Flat Bread Serving / Display Board with Handle 24" x 8" x 1/4"
$11.48 Winco SBMW-156 Marble and Wood Serving Board 15-3/4" x 6"
$7.45 Winco WCB-225 French Bread Board 22-1/2" x 5-1/2"
$14.99 Cal-Mil 1530-616-13 Black Rectangular Flat Bread Serving / Display Board 16" x 6" x 1/4"
$13.89 Cal-Mil 1530-616-14 Natural Rectangular Flat Bread Serving / Display Board 16" x 6" x 1/4"
$8.99 Cal-Mil 1531-612-14 Natural Round Edge Rectangular Flat Bread Serving Board 12" x 6" x 1/4"
Provide guests with an elegant dining setting by serving appetizers, cheese slices, and hors d'oeuvres on the Winco WDM002-401 Ardesia Semone Melamine Rectangular Platter, Wood 20-7/8" x 8". Designed to capture the look of natural wood, this rectangular platter adds a rustic touch that easily complements any decor or dinnerware collection. Perfect for commercial use, this platter is made from top quality melamine that is virtually break-resistant and provides exceptional strength and durability. Combining functionality, longevity, and style, this rectangular platter provides ample surface area for food presentation and has a comfortable handle for ease of use. Dimensions: 20 7/8" x 8"